After nearly seven years of development, Susannah Finzi's terrific debut play finally made it to the London stage in September 2014. Susannah and Ben first met to discuss the play, then called Complicity, in January 2008. At the time the bones of the story had been encased in a screenplay but Susannah had wanted to develop it into a piece for the theatre and brought Ben on to collaborate on it. They spent a year completely revising the piece and staged a rehearsed reading for an industry audience in February 2009. Following the reading, a further draft emerged and theatres were approached about possibly hosting the production but to no avail. Theatre 503 expressed interest but twice the available dates didn't fit with the director's previous commitments. In March 2014 the play received its world premiere in Lisbon, where some of the play is set. At that point Susannah and Ben (who had not been involved in that production) were all the more convinced that they wanted to mount the play in London. Following a short project Ben directed at Theatre 503 that June, plans were finally secured for the play to reach London and the play was again redrafted - not least to shrink the cast - for its new home. 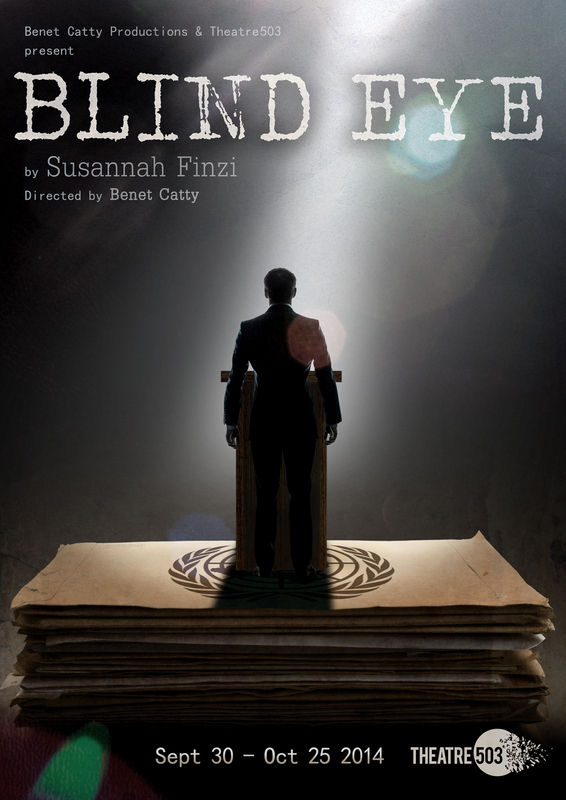 With a strikingly visual staging, Blind Eye benefitted from an experienced and committed company of actors and attendance - so often variable on the fringe - picked up over the course of the run despite receiving almost no press coverage. There are now prospects for the play to appear in its first foreign-language production in 2016.